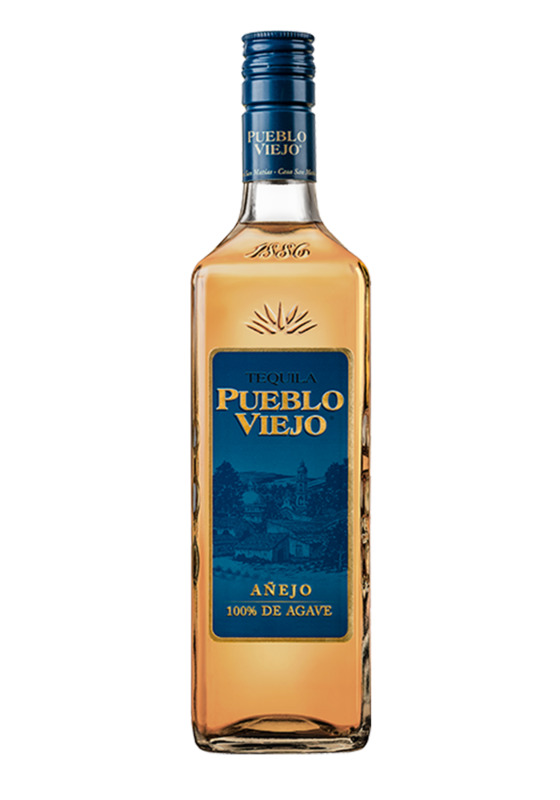 Pueblo Viejo is one of the leading brands of Tequila in the Mexican market. Consistently delivering the ideal flavor balance and quality, Tequila Pueblo Viejo is the authentic. Nose: you can perceive the sweetness of seeds, vanilla and toasted almonds. Other notes as chamomile, ripe orange and peach, are also present. Taste: the sweetness of oak, vanilla, dark chocolate, roasted almonds is appreciated at the palate. The finish of long dried fruit can be tasted.